Robert Fisk is a prominent Journalist at the London Independent. He has devoted his life to two zones of conflict, Ireland and what is called “The Middle East”. Author not only of countless thought-provoking articles, but also of a number of widely acclaimed, even-handed monographs on these two regions, which provide in-depth political analysis and historical background to current and recent political conflicts. For example In time of war: Ireland, Ulster, and the price of neutrality, 1939-1945 (1985) or The great war of civilisation: the conquest of the Middle East (2005). John Hume is a founding member of the SDLP and its president for more than two decades, John Hume has been the leader of moderate nationalism in Northern Ireland for 25 years. Key figure of the Peace Process and one of the architects of the Good Friday agreement. 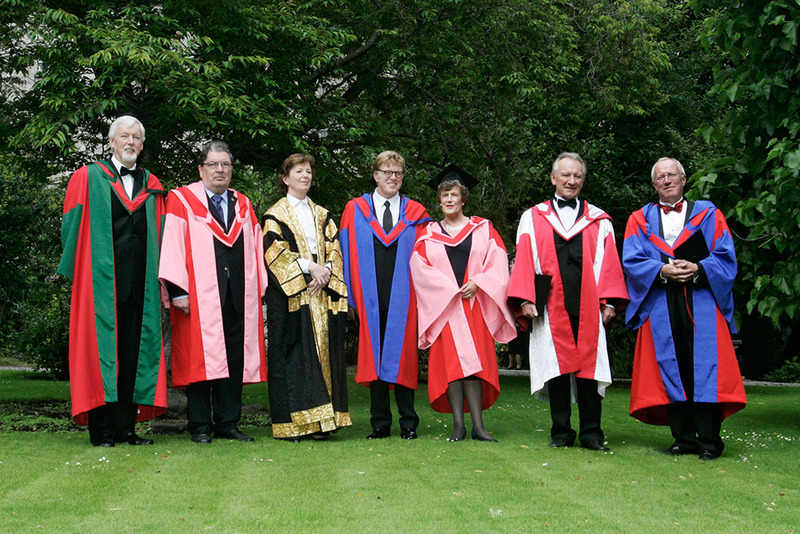 Joint recipient, with David Trimble, of the Nobel Peace Price 1998. The tenth anniversary of the Good Friday Agreement is an appropriate moment to honour him. Famous Irish musician and producer, who has had a pioneering influence on the development of Irish Traditional Music over the last 40 years. He was instrumental in driving the revival of Irish music since the late sixties. Founding member of Emmet Spiceland,Planxty, The Bothy Band and Moving Hearts. He has recorded over 50 and produced over 100 albums. He has represented Ireland on many occasions through his music and has also been very supportive of human rights issues throughout the island of Ireland. Academy-award winning director and producer and actor, he is an iconic figure in American popular culture. The most powerful advocate and sponsor of independent film-making in the U.S., Redford has also been an activist on environmental issues and Native American rights. Governor of Adelaide Meath Hospital and the National Children’s Hospital in Tallaght, Governor of the Rotunda Hospital, Director of the National Children’s Hospital Foundation Board, President of the Irish Federation of University Women. With remarkable energy, drive and commitment Melissa Webb has been a major influence in the developments of Dublin hospitals and has championed countless fundraising initiatives for the Hospital Services. 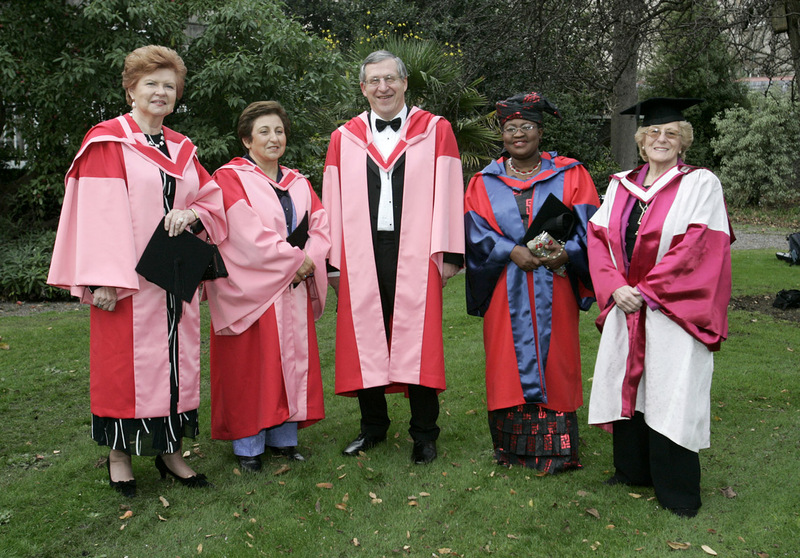 She also had a key role in the development of Trinity’s School of Nursing. Shirin Ebadi was awarded the Nobel Prize for Peace in 2003. Born in 1947, she is one of Iran's first female judges, forced out by the revolution. Lawyer and human rights activist of very considerable courage, she has just published 'Iran awakening: A memoir of revolution and hope'. Ireland’s leading soprano for many years, dedicated and immensely influential singing teacher and Ireland’s most prominent promoter of operatic singing. For many years Head of Faculty of singing and drama in the DIT, College of Music. Continues to teach in the RIA and the Leinster School of Music. Most of Ireland’s famous opera singers have been her students. Co-founder of the Friends of the Vocal Arts and founder of the Veronica Dunne International Singing Competition. President of Latvia, she was educated in Morocco and Canada, and had a distinguished academic career in Montreal in psychopharmacology and related fields before returning to Riga in 1998 to become Director of the Latvia Institute. She became President a year later and has played a leading role in achieving Latvia’s entry into the European Union. Outspoken pundit on social issues, moral values, European historical dialogue and democracy, she was awarded the 2005 Hannah Arendt Prize for political thought. Currently Minister of Finance in the Nigerian Federal government, Dr Okonjo-Iweala was formerly a development economist in the World Bank, becoming Vice-President and Corporate Secretary of the World Bank Group in 1999. In 2000 she took leave of absence to serve as an economic adviser to President Obasanjo and was appointed Minster in 2003. A determined reformist, she is the recipient of numerous awards and honours, the latest being the Euromarket Forum award for vision and courage in the design and implementation of Nigeria’s economic reform program. Director General of the GAA, one of Ireland’s leading sport administrators and the most progressive and most successful Director General in the history of the Association, transforming its self-image and making it more inclusive. He oversaw the inclusion of women’s football into the GAA, led the refurbishment of Croke Park and the development of a museum there and worked tirelessly for the removal of clause 42 and the opening of Croke Park to Rugby and Soccer.